In most cases a bout of influenza is an annoyance, but not too dangerous. It is when it strikes those with lower immune systems that it can become deadly. Unfortunately, influenza clinical studies to date have not been able to find a definitive cure for this ailment. If you have suffered from influenza or have received influenza shots in the past, you may qualify for an influenza clinical trial. Your participation could help us learn more about this virus that effects millions every year. Review the list of current trials and please contact us if you are interested. Participation is always at no cost to you. Influenza or the flu, in an infectious disease caused by RNA viruses. Symptoms can include chills, fever, sore throat, sore muscles, coughing, congestion, and an overall feeling of fatigue. 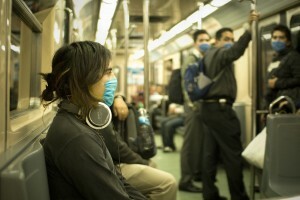 Influenza is transmitted through the air and by contaminated surfaces. Agents such as soap and alcohol kill influenza so frequent hand washing and disinfecting surfaces can aid in slowing its spread. Each year new strains of influenza develop. It spreads in seasonal epidemics and is responsible for thousands of deaths each year. Influenza treatment and prevention is particularly important to those with already lowered immune systems. This includes the elderly, young children and people who are already sick. There is a vaccine available, but since strains of influenza change each year the vaccine is not always effective. Practical measures such as covering your sneezes and coughs, not touching your eyes and mouth and staying at home when you are sick, can help prevent the spread of influenza. Once a person is sick the best influenza treatment is lots of rest and fluids. There are many over the counter drugs available to relieve the symptoms, but treating influenza is best done by prevention.